Don't let inexperience with the real estate industry scare you from becoming a homeowner. I can help you understand the process. Contact me and I'll help you become a well-informed buyer. First, a little about "escrow". An escrow company is used to assure your place closes on time and the money exchanging part of closing goes smoothly. When payment is held by a third party in a transaction between a buyer and a seller, it's in escrow. PayPal is a simple way to think of an escrow company. The escrow company makes sure that the terms and conditions of the agreement between the sellers and the buyers are reached in preparation of the sale being completed. Upon finishing of all portions of the escrow, closing can take place. At this time, all payments and dues for inspections, title insurance and real estate commissions are collected. 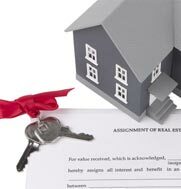 Title to the property is then transferred to you as buyer and correct title insurance is issued as noted in the escrow instructions. This is a simple outline of the escrow process. Your particular process might be different based on your lender and your escrow company.